Gravel band drainage works by cutting closely spaced narrow channels in the playing surface with a coulter disc and then injecting gravel into the channels. A presser wheel then pushes the turf back together. As no soil is removed during the process, surface disturbance is minimal and play can resume almost immediately, leaving a drained sportsturf pitch or course. 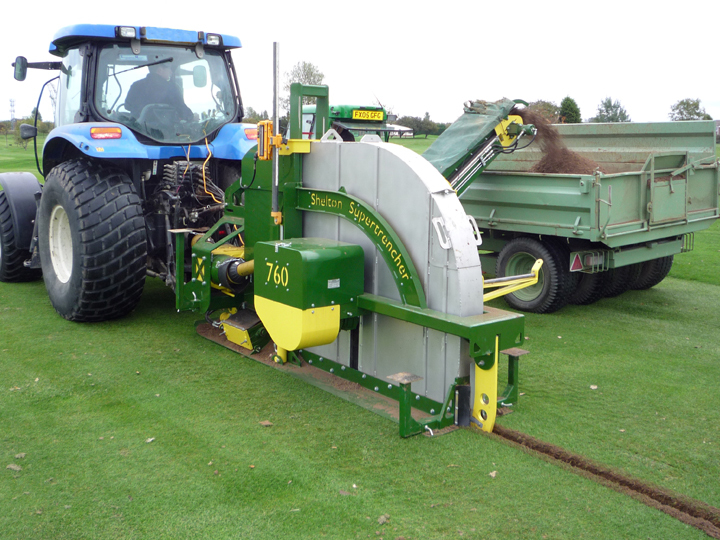 Gravel band drainage is ideal for installing a secondary drainage system on sports fields and established golf greens, but to find out exactly what type of drainage is required on your sportsturf facility please get in touch.